Medicinal Properties:Neem is the most popular tree of India. Every part of it is used in numerous diseases. 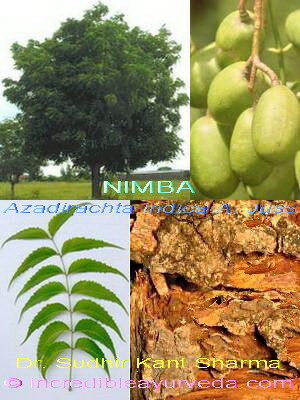 Leaves and bark of the Nimba are used for various preparations in Ayurveda. Neem is considered as a boon to mankind for being of multipurpose uses. Use of Neem has been recommended by Ayurveda for a wide range of diseases due to its blood purification property. Scientific research on Neem observed it to be a magical remedy for many diseases. It is found to be antibacterial, anthelmintic, antiviral, anti-diabetic, anticancer, lipid controller, skin healing and more importantly Immunomodulatory agent. 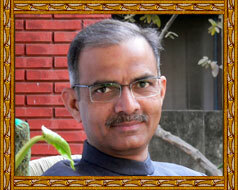 Main Classical Uses:Nimbadi churan, Nimbaharidra khanda, Nimbarishta.